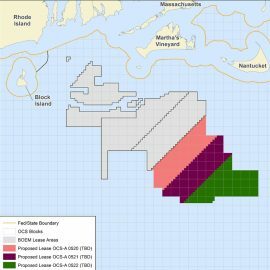 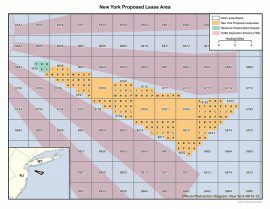 The US Bureau of Offshore Energy Management (BOEM) has resumed the auction for commercial wind energy leasing offshore Massachusetts. 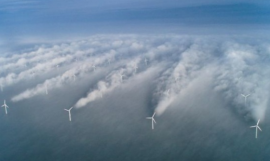 Three commercial wind leases offshore Massachusetts have brought in a total of USD 285 million in bids in the first 24 auction rounds, sending a strong signal that developers are committed to the US offshore wind market. 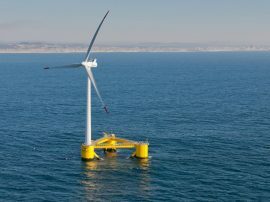 The US Bureau of Ocean Energy Management (BOEM) has issued a Call for Information and Nominations to identify companies interested in commercial wind energy leases within three proposed areas off central and northern California on Friday. 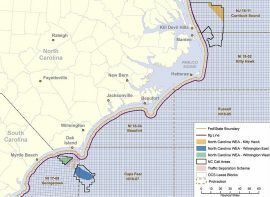 The US Bureau of Ocean Energy Management (BOEM) will hold the next offshore wind auction offering nearly 390,000 acres offshore Massachusetts on 13 December. 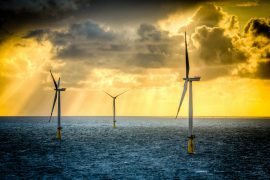 RenewableUK has welcomed the announcement by the UK government on new Contracts for Difference (CfD) auctions for offshore wind, emphasizing that it means the UK’s offshore wind capacity is set to nearly double over the next decade. 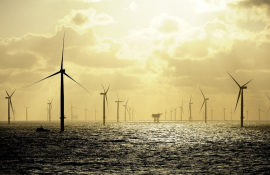 Transmission system operator TenneT has called for the optimisation of the German offshore wind grid through an additional capacity auction and through linking future wind farms in the western German North Sea to the Dutch grid. 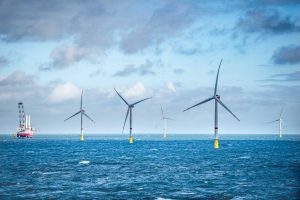 The Netherlands-based BLIX Consultancy BV has revealed its role in the Taiwan offshore wind tender after Northland Power was announced as one of the winners. 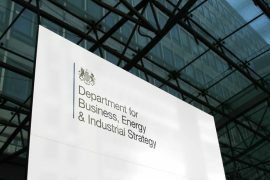 The 2017 Contracts for Difference (CfD) will cost UK consumers significantly more relative to the additional capacity secured due to the changes in the auction design which allowed small fuelled-technology projects to raise the strike price of larger projects, National Audit Office (NAO) has found. 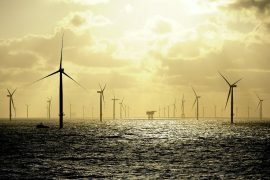 The German Federal Network Agency (Bundesnetzagentur) has awarded Ørsted the right to build an additional 551.75MW offshore wind capacity in the German North Sea. 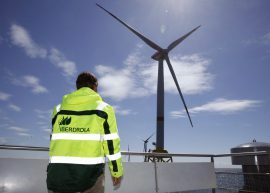 Spanish energy company Iberdrola is actively preparing to participate in the next round of offshore wind auctions in Germany scheduled for April 2018. 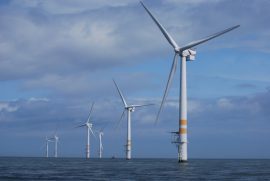 Ireland’s Department of Communications, Climate Action and Environment (DCCAE) is running the final public consultation on the development and design of a new renewable energy support scheme, with the consultation period closing on 10 November. 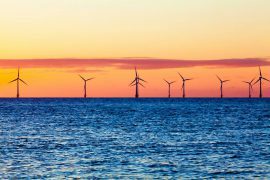 Statkraft and innogy, the developers of the 860MW Triton Knoll wind farm off Lincolnshire, England, plan to take the Final Investment Decision (FID) on the project by mid-2018. 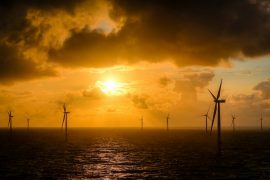 RenewableUK is predicting a significant fall in the cost of offshore wind when the results of long-awaited competitive auctions for new contracts to provide clean electricity are unveiled next week. 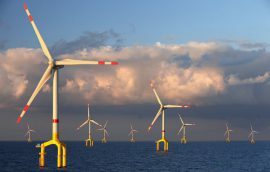 Germany’s Bundesnetzagentur has selected three offshore wind projects by DONG Energy and one project by EnBW in the first auction for grid connections and funding for existing offshore wind farm projects, with one of the operators offering the lowest price bid of 0.00 Euro cents per kilowatt-hour. Update: Another bidder drops out of the race for the North Carolina offshore wind lease area in Round 17. 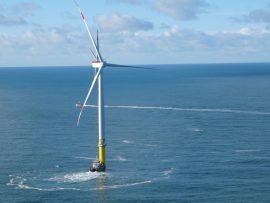 The winning bid was USD 9,066,650. 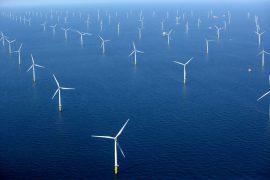 German energy company innogy SE is preparing to participate in two offshore wind auctions, in Germany and in the UK, in 2017 with two projects which have a combined capacity of nearly 1.2GW. 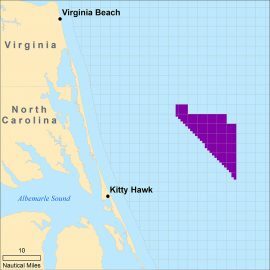 Canadian energy company Northland Power will not be submitting a bid to develop an offshore wind project off Kitty Hawk, North Carolina this March.